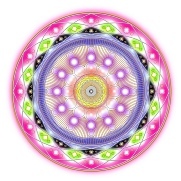 I cannot truly finish this website without paying Homage to Joseph Benner and the Work that he has done to pave the way for what is transpiring here within The Elemental Grace Alliance. It has been as little as two years since I was introduced to Joseph Benner and the Impersonal Life of how the I Am Presence completes Our Journey; or at the very least one of the final pieces to the puzzle. Joseph’s Work has now passed beyond the copyright laws of 50 years after death, so there are many free site and work places that publish his work free of charge. But I just wish to clarify, that what I am sharing here is not for any financial return, simply for educational purposes only. There are many books formally published that you can buy, and Amazon is the obvious link. 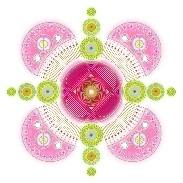 But there are also many site who as I have said offer free downloads of the work. 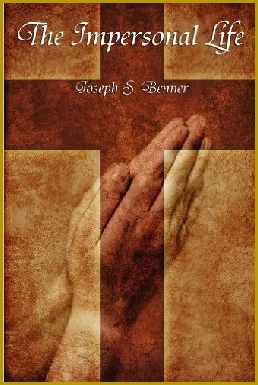 I am therefore placing here on this page a list of Joseph Benner’s Books and Papers to download free, that I feel are of most benefit in relationship to the Foundational Understandings of the Elemental Grace Alliance Discourses. These are by no means all such Foundational Stones, but without them there would be a very unstable Foundation for us to build Our Bridges To Freedom to close the proverbial Gap in Consciousness between us and the Elemental, Devas, Angelic Host Kingdoms. If you have any questions about any of these Works then I would be glad to help where I can. Did you know that Elves Presley found his link to his I Am Presence through Joseph Benner’s Book The Impersonal Life? Copy of The Impersonal Life, 5 6/8 by 4 2/8 inches, embossed on cover and spine in gold, "The Impersonal Life," Thirty-seventh edition, 1975, original copyright 1941, published by Sun Publishing Co. Tonawanda, N. Y. originally published by C. A. Willing Publishing, San Gabriel California 167 pages, with additional notations in pen and pencil by Elvis Presley's hand, corners bumped, light wear to spine, overall good condition. This vintage copy of The Impersonal Life was given to Elvis Presley by his close friend and spiritual confidant Larry Geller. The two met in 1964, when Geller was hired by Presley as his personal hair stylist. Geller gave Presley a copy of The Impersonal Life which immediately impacted the then hectic King of Rock's life. Over the following years, Presley would have Geller buy dozens of copies to give as gifts to close friends, including several of his co-stars and celebrities. 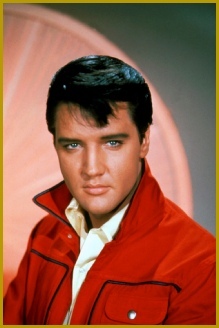 Eventually, the book became synonymous with Elvis's name, that in 2001 the publishers released a special edition, featuring Elvis's portrait on the cover. 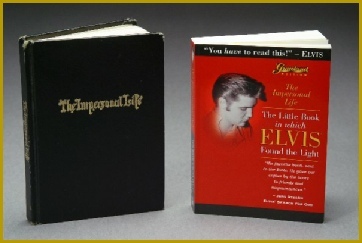 This copy of The Impersonal Life remains the last copy that Larry Geller gave to Elvis, two years before his death. Also present is a 2001 limited edition Graceland Edition Copy of the book. This lot, accompanied by a letter of authenticity by Larry Geller, documents an important time during Elvis Presley's soul searching quest at the end of his life. 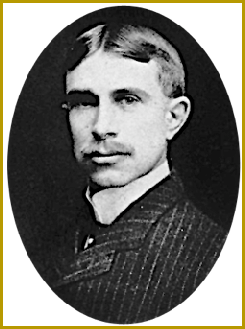 Joseph Sieber Benner (1872–1938) was an American Author, Spiritual Writer, and Representative of the Brotherhood of Christ who used the pen name "Anonymous." He was the first to introduce the Knowledge and Teachings of the Impersonal Life (also known as the "I AM" Teaching) to the world in his first book, "The Impersonal Life" published in 1914. Among his works were "The Way Out", "The Way Beyond", "Wealth", "Teacher", "Brotherhood", "The Way to the Kingdom", "Papers (65 Lessons)", "The Impersonal Life Vol. 2: The Christ Message", "The Impersonal Life Vol. 3: The Soul (Newly Released March 2016)" and other unpublished writings. He died in September 24, 1938. Author Jon Klimo wrote, "By 1916, Benner said he felt he could no longer resist the growing inclination to give himself over as a vehicle to a larger presence, to let his mind be subsumed by (or co-creatively interact with) a larger Mind or Being." Benner taught that Christ's proclaiming "I AM" indicated "the true spirit that resides in every human being." According to his daughter, letters were found after his death in which he expressed devotion to God and his belief that God had chosen him as a medium. The Group called The Sun Center, was established in the early 1920's in Akron, Ohio, U.S.A. because of the overwhelming response of the readers and their flood of letters for further elucidation of the Law after The Impersonal Life was published in 1914. It also became the parent organization of the Impersonal Life Teachings, under the direct supervision of Joseph Benner until his death in September 1938. The group moved the Sun Center Headquarters to Buffalo, New York on January 10, 1940. The Sun Center continued its activities unnoticed, just like in Ohio. Students who remained in Ohio continued their individual and group application of the Law of the Impersonal Life Teachings just like the other students all over the world. In 2014, groups of students of the Impersonal Life Teachings in the Philippines who had been silently practicing the teachings for decades officially legalized their groups as SUN CENTER, to continue the legacy and spiritual work of the former Sun Center (Ohio Group). Their priority project is to publish Joseph Benner's unpublished and out-of-print works. In May 2015, Sun Center published the long-awaited sequel to The Impersonal Life entitled The Impersonal Life Volume 2: The Christ Message. More recently, Sun Center released The Impersonal Life Volume 3: The Soul in March 2016. These books are for purchase only! You may visit their site through this link:- You can also download Books and Papers there! Brother Franco R. Basit Mail: indigocape@gmail.com in the meantime! Books will come from the Philippines!